Edited by Muhammad Akhyar Farrukh . 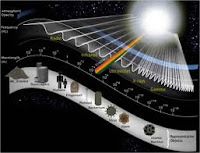 Spectroscopy is the interpretation of spectra of absorption and emission of electromagnetic radiation due to the interaction between matter and energy that energy depends on the specific wavelength of electromagnetic radiation. Spectroscopy has proven invaluable research tool in a number of areas including chemistry, physics, biology, medicine, and ecology. Lasers have unlimited application potential and this book will help researchers and scientists to get potential new applications of spectroscopy. The research field is quite large, but the goal of this book to cover maximum advanced areas like atomic spectroscopy, laser spectroscopy, molecular spectroscopy, nanostructure spectroscopy, physical, and organic spectroscopy. The book would have keen attention of PhD students, medical researchers, industrial researchers, molecular scientists, biologists, ecologists, physicists and material scientists who will find innovative original research and reports on experimentation, new spectroscopic techniques & instrumentation, and application of spectroscopy. Common spectroscopic techniques like UV-Visible, Atomic Absorption, Flame Emission, Molecular Fluorescence, Phosphorescence, Infrared, Nuclear Magnetic Resonance, Mass, and Electron are being used to study the qualitative as well as quantitative analysis of samples. However, the spectroscopic field is growing day-by-day and scientists are exploring new areas in this field by introducing new techniques. The main purpose of this book is to highlight new spectroscopic techniques like Magnetic Induction Spectroscopy, Laser-Induced Breakdown Spectroscopy, X-ray Photoelectron Spectroscopy, Low Energy Electron Loss Spectroscopy, Micro- to Macro-Raman Spectroscopy, Liquid-Immersion Raman Spectroscopy, High-Resolution Magic Angle Spinning (HR-MAS) Nuclear Magnetic Resonance (NMR) Spectroscopy, Injection and Optical Spectroscopy, and Nano Spectroscopy etc. This book is divided into five sections including General Spectroscopy, Advanced Spectroscopy, Nano Spectroscopy, Organic Spectroscopy, and Physical Spectroscopy which cover topics from basic to advanced levels which will provide a good source of learning for teaching and research purposes.